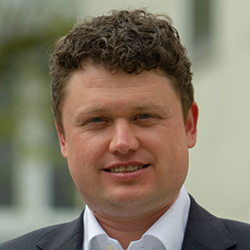 Marco Wassermann is a founding member of xplace GmbH, where he has also been Managing Director for the past 10 years. Since 2018, he has also held the position of CEO. In his former role as Chief Technical Officer and Managing Director, he was responsible for the horizontal and vertical expansion of the product range. With his contribution, xplace has become an international enterprise and leader for digital multichannel and brand communi­cation at the point of sale. The increasing growth of xplace has entailed new strategical orientations of the company. Wassermann has contributed significantly to the further development of the company’s organisation and strategy. In 2018, he changed his management focus to business development and communication.Wassermann holds a diploma in computer science.